Stimulation of T Lymphocytes by antigen or anti-T cell receptor (TCR) antibodies provokes a rapid series of intracellular biochemical changes, leading to the expression of either the helper-inducer or the cytotoxic T cell phenotype (for reviews, see Samelson and Klausner 1992; Veillette and Davidson 1992; Perlmutter et al. 1993 and Weiss and Littman 1994). This response, termed T cell activation, is accompanied by a sudden increase in intracellular phosphotyrosine levels. 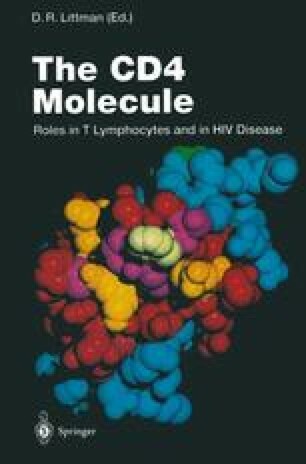 Importantly, the use of tyrosine protein kinase inhibitors has revealed that tyrosine protein phosphorylation is required for all subsequent events of T cell activation, including stimulation of phosphatidyl inositol (PI) turnover, rise in intracellular calcium, lymphokine secretion and mitogenesis (Mustelin et al. 1990; June et al. 1990).